Coffee is mostly grown in the subtropical and tropical regions of the world. It is actually a plant that produces a cherry which is processed for the coffee beans. In most countries across the globe, coffee is an incredibly popular commodity and crucial to most economies. Since coffee is prepared on a consumer level and not just a commercial level, there is a whole industry dedicated to the mechanisms used for such processes. 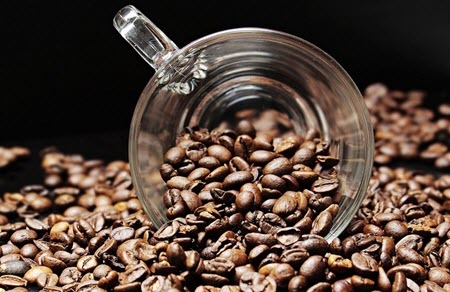 There are not only coffee growers and roasters, but there are also equipment manufacturers making personal brewers and grinders, along with entire industries dedicated to serving the beverage. There are two kinds of coffee grown in the world, Robusta and Arabica. Arabica is considered to be the higher quality of the two, so it is the type traded at ICE Futures US. Coffee began to be traded in 1882 as the market was established for the commodity. The Coffee Exchange of New York was the beginning of the trade and has set the tone for the industry. The coffee trade is historically volatile. The amount of coffee contracts traded annually dwarfs the amount of actual coffee sold. Commodities markets trade seven times the entire world’s coffee production every year in coffee futures. There are many reasons why an investor would want to include coffee in a portfolio. The fact that it could be scarce would drive the price up, given that only two countries produce most of it. There are also conflicting opinions regarding the health benefits of coffee. Should this change for the better, the prices could rise. A weak US dollar helps the coffee prices, which is the current environment. If this continues, the prices will remain high. Including coffee in a portfolio is a great way to hedge against inflation. There are also emerging economies with more discretionary income than ever before, like China. Should these countries continue to grow, so will their consumption of coffee. The political instability of the two largest coffee growing countries, Brazil and Vietnam, is a large driver for contracts. In these two countries alone, about half of all coffee production takes place. Historically, the political environment domestically and internationally with both countries is unpredictable. Coffee crops are also highly sensitive to weather and adverse changes. Given the trend with global warming, coffee prices may rise if drought conditions occur, but that is still to be realized. Many of the trading sites online are a great way to start for knowledgeable investors. They also have information according to the market commodity. This is a great place to educate yourself if you are interested in trading futures. The market websites themselves are also an excellent way to gain knowledge about the industry. If you are a beginner trader, it is a good idea to consult a professional. Going at a risky business alone, like futures and options, is probably not the best plan. Study the coffee market, the agricultural news and fill your cup with some time honored advice.